The Maryland Historical Trust (MHT), an agency of the Maryland Department of Planning, is accepting applications for Fiscal Year 2019 Non-Capital Historic Preservation grants. Funding from the MHT Grant Fund for Fiscal Year 2019 is $300,000. Nonprofit organizations (including state agencies) and local jurisdictions may apply for Non-Capital Historic Preservation grants. Non-Capital grants provide support for a wide variety of research, survey, planning, and educational activities involving architectural, archeological, or cultural resources. Eligible activities may include preservation plans, historic and cultural resource surveys, educational outreach programs and National Register nominations. Intent to Apply forms for Non-Capital Historic Preservation grants are due on July 9, 2018. The deadline for completed applications is October 1, 2018. The project selection process will begin immediately and grant awards will be announced in the fall of 2018. The maximum grant award for Non-Capital historic preservation grants is $75,000. To begin or continue an Intent to Apply form, please click on the My Grant Account link in the left sidebar. Prospective applicants should plan to attend an upcoming workshop. Workshops will be held in Crownsville on June 14, 2018 from 1 p.m. to 4 p.m. and on June 27, 2018 from 10 a.m. to 1 p.m. The workshops will include information about the program and FY 2019 funding priorities, eligible activities and expenses, and applying and reporting online. To register for one of the workshops, please visit https:www.brownpapertickets.com/event/3424184. For questions, additional information, applications, and copies of the open project selection criteria, contact Karen Golder at (410) 697-9550 or karen.golder@maryland.gov. You may also write to the Maryland Historical Trust at the Maryland Department of Planning, 100 Community Place, Crownsville, MD 21032-2023. Nonprofit organizations (including state agencies) and local jurisdictions are eligible to apply for MHT Non-Capital grant funding. Nonprofit organizations must be in good standing with the State of Maryland Department of Assessments and Taxation, be qualified to do business in Maryland, and have the legal capacity and authority to incur obligations under the grant program. Organization status information can be obtained by contacting the State Department of Assessments and Taxation (SDAT) at 301 W. Preston Street, Baltimore, MD 21201, 410-767-1184, or through its website at dat.state.md.us. Individual Non-Capital grant awards generally range from $5,000 to $75,000. The maximum Non-Capital grant award is $75,000. Applicants are encouraged to include itemized components, especially on large projects. For grants to local jurisdictions, a dollar-for-dollar match is required of the grant recipient. This match may consist of cash, an equivalent dollar value of in-kind contributions, or a combination of both. In most cases, projects which provide an equivalent cash match will be given preference in selection for funding. Thus, match is strongly recommended; the existence of matching funds will enhance the competitiveness of the application. If awarded funding, applicants will be required to document all matching funds shown in the project budget. Conducting resource specific studies that determine the fiscal impact and potential of heritage preservation activities (i.e., preservation plans, feasibility studies and assessments) for properties that are listed in or eligible for listing on the National Register of Historic Places. 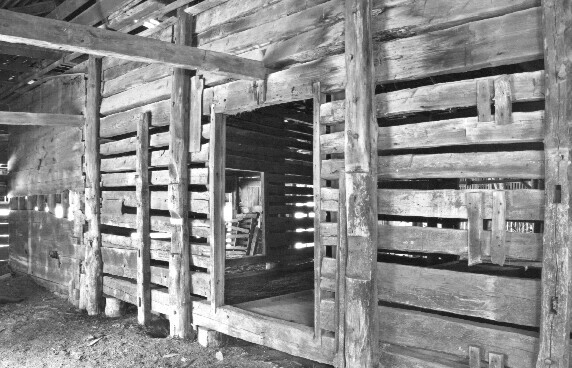 Bond-Simms Tobacco Barn, Greenwell State Park. Photo by William Graham, Colonial Williamsburg Foundation, 2007. The overarching goal of such projects should be to identify and document previously unknown archeological sites and architectural resources in a systematic manner. Projects in areas where less survey work has been carried out, or where surveys are significantly out-of-date are particularly encouraged to apply, as well as projects that will lead to new or significantly updated historic districts in the National Register of Historic Places. The overarching goal of such projects should be to assist State Agencies, local governments, non-profits, and others in efforts to monitor the impacts of changing environmental conditions on known archeological sites, architectural resources or unsurveyed areas likely to be abundant in historical and cultural resources, to assess those threats, and respond appropriately. Priority will be given to work in areas that are poorly surveyed, that are known to have under-documented resource types, or that characterize underrepresented communities. The overarching goal of such projects should be to develop a viable approach for focusing on a particular archeological or architectural subject in-depth. Projects which explore topics that are poorly documented in MHT site files, or which develop historic contexts, will be strong contenders for grant funding. Applications for projects that address these priorities will receive special consideration in the application ranking process. Applicants are strongly encouraged to contact MHT staff prior to application submission to discuss project eligibility and the proposed scope of work. The evaluation criteria, program requirements, and eligible and ineligible costs are noted in the Guidelines.